As Nebraska football’s spring practice winds on, a number of storylines have emerged. Given the hiring of new head coach Mike Riley and entirely new schemes on offense and defense being installed, the flood of news certainly isn’t surprising. But there are a few storylines that really stand out in bold type as we work our way to the 2015 season. Here are three of the biggest storylines that have emerged this offseason. Now, simpler doesn’t always mean better, of course. Check out Derek Johnson’s analysis on the HuskerMax forum about how Nebraska’s defense could struggle by insisting on remaining in a three-linebacker set. But a simpler defensive scheme will, at the very least, mean that talented players are less likely to be kept off the field based on a lack of scheme knowledge. And that change in defensive philosophy might be the biggest one in Lincoln we’ve seen this offseason. When Riley first arrived, questions lingered as to whether he would be importing his pro-style offense. Certainly, given what happened the last time Nebraska brought in a coach to revamp the offense (by some dude whose name rhymes with Cill Ballahan), things didn’t go well. 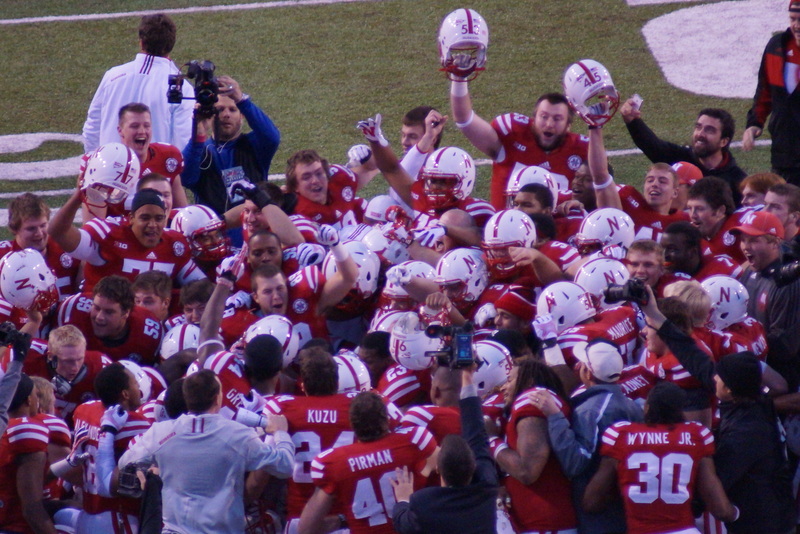 So many Nebraska fans wanted to downplay the likelihood of offensive upheaval. And there is some ground for that reassurance. Riley has talked about the need to adapt the game plan to the talent available (as quoted by Steven M. Sipple of the Lincoln Journal-Star). “We have what we’ve done as coaches and we have a new skill set at quarterback almost all the way around,” Riley said. “We are trying to blend the two as best we can together so we can help them be comfortable. How does incorporating a pro-style offense mesh with using the talent available on the roster for Riley? That’s the fascinating question we will see answered in part during spring practice, and in full this autumn. Yes, Riley has said that Armstrong’s experience is a benefit as he determines next year’s starting quarterback (according to Steven M. Sipple of the Lincoln Journal-Star). But that doesn’t mean he’s a guarantee to win the job. Gerry DiNardo from the BTN is in the midst of touring spring practices from around the conference. Check out what he said about the quarterback races he’s seen so far. Um, wow. A savvy outside observer says Nebraska’s quarterback decision “isn’t clear.” Add in the report from 247 Sports that Armstrong that back spasms have been hampering his performance and made him sit out of Wednesday’s practice, and the recipe is certainly there for someone other than Armstrong to win the job. A smart and particularly handsome analyst pegged Armstrong’s chances to be the 2015 starter at 50 percent. Looks like recent developments from spring camp make that number just about right.